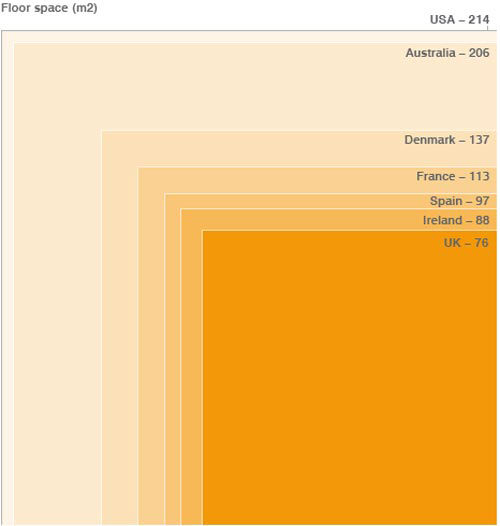 The chart below compares the average floor meterage of living spaces for each country named. Thank you McMansions for our almost winning score. Just remember that 26% of those USA homes are in foreclosure!